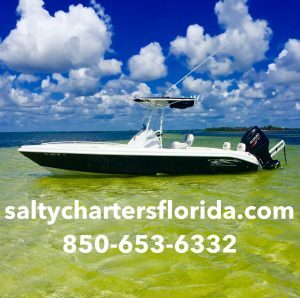 Salty Charters offers a variety of fishing trips and tours aboard a beautiful 24′ Glasstream. Enjoy fishing with area native Captain Jonathan Creamer. Captain Creamer is a lifelong resident of Franklin County. Coming from a family in the commercial fishing industry, he has fished on local waters since childhood. USCG Master Captain’s license and insured.